When it comes to premium hotel loyalty programs, communicating with your members and understanding your program’s performance is made easier and more profitable with HMC’s Customer Relationship Management platform. Because HMC’s CRM has been designed by hoteliers for hoteliers, we understand how to optimize membership loyalty programs and give you the most transparent insight into their performance. This is a truly turnkey solution to acquiring, recognizing and retaining members. Gain full 360-degree visibility into all aspects of your membership program. Send out highly targeted and relevant email and direct mail campaigns to select members based on their usage pattern with custom or “out of the box” filtering criteria. Link member usage and customer data to reporting systems in real time. Our Interactive Graphs and Drillable Data allow you to innovatively and dynamically visualize your data and drill deep into your information to expand high-level reports into fine-grained details. CRM Insight also provides hoteliers with regular monthly emails, ensuring that you are updated on key performance indicators. HMC has developed world-class, purpose-engineered solutions and partnered with best-of-breed technology and distribution providers, such as Silverpop and ZenDesk, to offer our clients the best CRM platform available. At no cost, clients may select either a “self-service” or “full-service” CRM model. 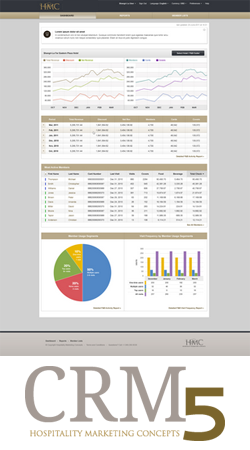 In the “full-service” model, all aspects of campaign management are managed by HMC’s experienced staff. 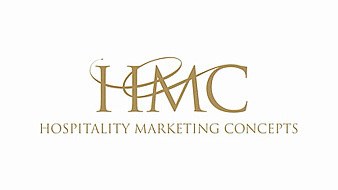 Or, to ensure you get the most out of both your internal marketing department and HMC’s products and services, we will custom-tailor a hybrid model for the unique needs of your hotel group. Either way, we’ll work with you to design and manage a strategic, long-term CRM-driven marketing campaign to suit your hotel’s needs and ensure success. Contact HMC today to discover how our CRM can maximize your revenue and profit all while providing an exceptional member experience.